It is no surprise that some of us are asking ourselves how to sell photos online. Photography, in one way or another, became so important part of our everyday life that we could easily ask how we lived before that. We are taking photos of everything and everyone, all the time. The number of photos taken per day differs from different sources. Yet, no matter which number you choose to believe in, you are about to be astonished. 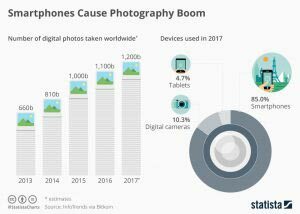 According to statista.com in 2017 we took more than 1,2 billion photos. That is billion, with a ‘B’. And that is mainly thanks to the number of smartphones at use. Statista.com claims that 85.0% of these photos were to be taken with some kind of a smartphone, and only 10,3% with a digital camera. But how did the photography evolved so much? Although the oldest photography that survived until today is dated somewhere between 1826 or 1827, the origins of this art could be roughly traced to the 4th century BCE. Of course, the connection is not that direct but it exists. The so-called camera obscura, which in one way or another is in the core of the existence of photography was probably known even by our prehistoric ancestors. But if you are a photographer you probably already know that. 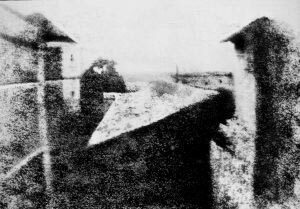 You know what is Camera Obscura and how it helped Nicéphore Niépce to create ‘View from the Window at Le Gras’ – the earliest survived camera photograph. Since this photograph, the art of ‘painting with light’ evolved beyond recognition. And today we are able to make money thanks to our vision and photography skills. With the evolvement of the Internet those of us, blessed enough to have a notable talent, are able to make money and thus living, by doing only what they love, and were created for. That’s the best part, you will monetize your hobby. Of course, photographers are among people with one of the most recognizable and valued talents. Their work is easy to perceive and easy to be felt. And also, every website needs images to empower its content. In essence, everyone on the web needs beautiful and meaningful images. To put that in other words, there will always be a place for you to sell photos online, given they are good. Surely, the money won’t start flowing in your direction right away. You’ll need to prove yourself, your work, your skills. And also, when deciding where to sell photographs, choose the right place/s to do so. To find out how to sell photos online, you need to first find out where, and what type of photos you are about to sell. Furthermore, you may want to add to your additional income from selling photos online, by becoming a freelance photographer. Now that you know how to sell photos online, it may be hard for you to decide where to sell them. There are so many options, that one easily gets confused. But there are specialized places to sell photography. Let’s examine 4 of them. Also, if you have the vision and the skills, you can sell photos created with your phone, rather then DSLR. 123RF is a stock photo platform which will pay you a commission between 30% and 60% based on the number of photos sold. Web designers also need stock images. And as a photographer, you can take advantage of this fact, by presenting them with your work in the Adobe Stock platform. It is one of the best places to sell photos online. Mainly because of the fact the photos you listed for sale in Adobe Stock, they’re also available Fotolia which is another place where you can sell your photos. Selling your photos on Adobe Stock you’ll up to earn 33% commission. 500px is more of a community-based platform for photographers. You can follow other photographers, list your photos in their marketplace, and participate in Photo Quest competitions for prizes. In 500px you’ll get 30% commission for the so-called non-exclusive photos and 60% for exclusive ones. If you, on the other hand, decide to create your own website to sell your photographs, you may want to learn a thing or two about WordPress. It is the easiest way to create a website. And furthermore, we have WordPress Tutorials, that you can take advantage of. When you start creating your WordPress website and reach the point where of theme installation, you can check out the 10 best Minimal WordPress Themes for Photographers. And once you like one of them, build your website, and build an e-commerce shop. Building a WordPress website is hard at all. Everybody can do it. And as an artist, you’ll definitely benefit from having one. Of course, don’t miss the opportunity to show your work in social media, neither to sell it as stock photography, when applicable. But having your own website is giving you control that you won’t have, depending on an outside media.